Halloween is just around the corner and chances are there is a Halloween party in your future. Whether it’s a costume party at a friends house or your child’s classroom Halloween party at school, you want to be prepared when it comes to treats. 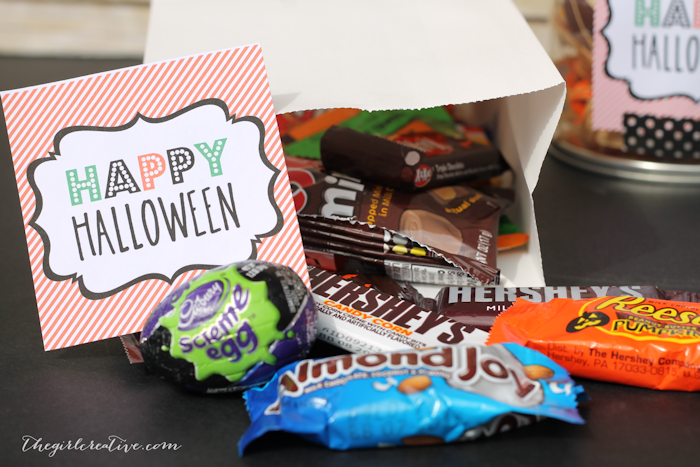 I whipped up these super cute and easy Halloween Goody Bags to share with you. Everybody knows that when kids go to a party of any kind they usually only have one thing on their mind: “What kind of loot am I going to get on my way out?” Amiright? And to be honest, if I was going to a party and I knew there would be goody bags, my treat-lovin mind wouldn’t be on anything else! Well, you don’t need for it to be a birthday in order to throw a party where you give goody bags out. Goody bags (or favors) have sort of become a staple at just about any party. 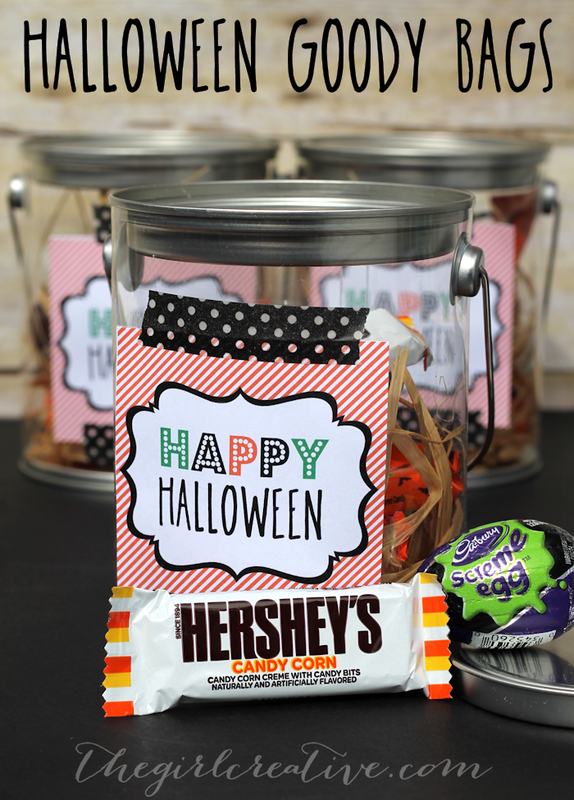 Halloween is just around the corner and if you are throwing a party, consider making these easy DIY Halloween goody bags to give out to your guests as they leave. I didn’t know this but 34% of Americans either attend or throw Halloween parties. The chances are good that you will either be having your own or getting invited to someone elses so you’ll want to bookmark, pin or save this post. Ya know, just in case. I had these great craft paint cans that I’ve been dying to use and decided to use them as my goody bags. You can pick them up at any local craft store or if you love shopping online I’m sure you can find them on Amazon. If you are in a pinch, no worries. 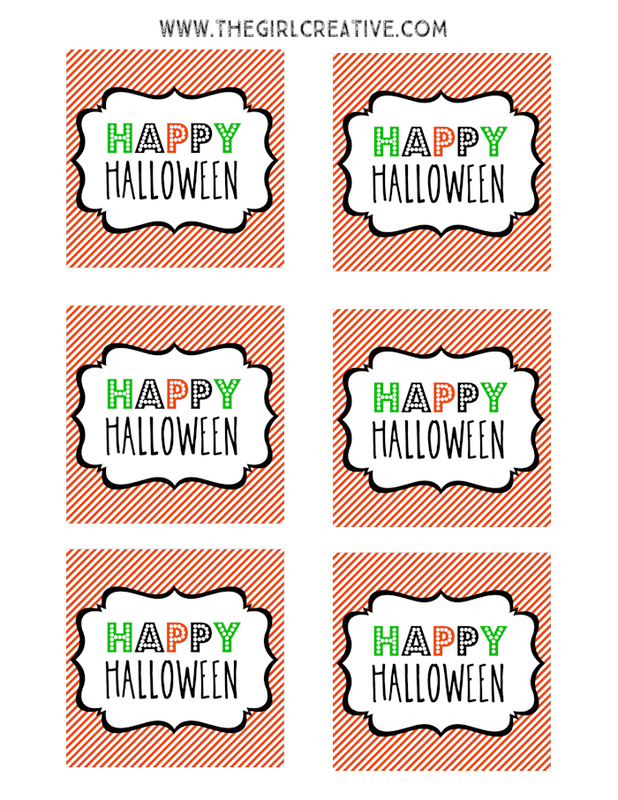 Grab brown paper bags and attach the cute “Happy Halloween” tags to them with some cute and festive washi tape. The options are endless and lets face it, all kids care about is what’s inside. Let’s talk about what’s inside these Halloween goody bags, shall we? Ummm………chocolate. And lots of it! I’m a fan of chocolate any day of the year but I really love the festive treats that Hershey’s comes up with for holidays. Seasonal favorites from Hershey include chocolate assortment variety bags with a little something for everyone, Reese’s Peanut Butter Pumpkins, Kit Kat® bars and Cadbury Screme Eggs. Dude. Hershey’s Candy Corn bars in White chocolate candy corn Hershey’s bars. Seriously?! So yummy! Hershey helps families harness the magic of Halloween by sharing new and classic treats that help transform any Halloween party from normal to out of this world. 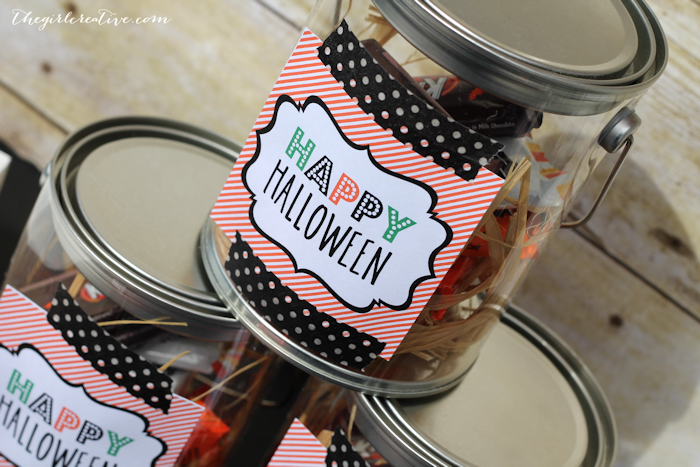 To help you create the perfect Halloween goody bags, I’ve created some free printable Happy Halloween tags. I used mine by taping them to the front of my paint pails with polka dot washi tape. You can also staple them to the front of a brown (or white) paper bag if you won’t be using the pails. Print from your home printer onto copy paper or card stock. 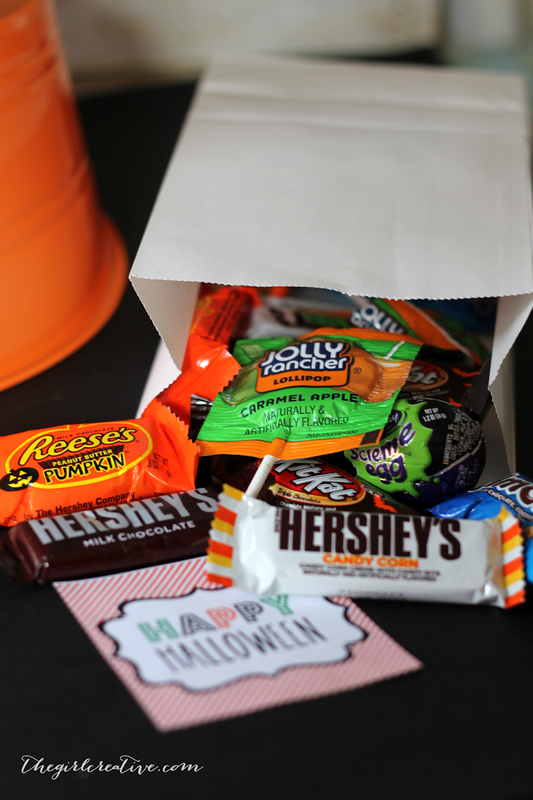 As your planning your Halloween party or just stocking up on goodies for trick or treaters, grab some Hershey’s. Lots of fun options for this Halloween. Don’t miss out! I would love to get one of these goody bags!! They are so cute, and full of deliciousness!